During the Xbox E3 conference, developer DontNod Entertainment showed off a slice of the next Life is Strange game. Life is Strange: The Awesome Adventures of Captain Spirit is coming on June 26, and it'll be available as a free download. The game features a young boy playing with superhero toys trying to distract himself from the recent death of his mother, his father uses other methods of distracting.That being said judging from the upbeat tone in the trailer and the presence of a high five, the pair seem to be working through it as a team. The game isn't a multi-episode arc as the game is likely to be just one episode that takes place between Life Is Strange 1 and 2. 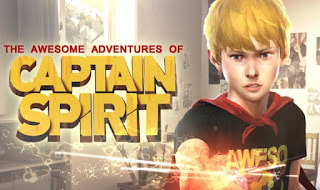 Life is Strange: The Awesome Adventures of Captain Spirit will be available on June 26 for PS4, Xbox One and PC at no cost.